“In the vast world of SEO (Search Engine Optimization), there’s the good & bad guys – two different techniques used to increase Google, Bing & Yahoo search engine ranking,” notes Marketing Consultant Susan Stern, an SEO Omaha company owner. ‘White Hat’ is ethical SEO. This is the preferred method used by reputable U.S. businesses. ‘Black Hat’ SEO is unethical search engine optimization. SEO defined: Process of building and maintaining search engine position via industry key words that Google, Bing and Yahoo index. Under a ‘White Hat’ approach, a Web site that is SEO-optimized focuses entirely on delivering high quality content, keyword relevancy – following Google rules and regulations as a guidepost. This involves creating unique content, I.e. rich writing penned by a professional copywriter, who also drafts title tags, meta descriptions, and #hashtags when appropriate. With each online article, press release or social media post, she composes relevant industry keywords, and generates appropriate URL’s – for rank building. White Hat is NOT keyword stuffing nor sneaky search engine manipulation, such as, video spamming services and buying likes. Plus, ‘White Hat’ SEO includes keyword & competition analysis and internal/external link building aimed at improving link popularity. Creating content for users, not search engines, is the objective, with ranking as a secondary goal. Duh, Duh, Duh. On the other side of the fence…are the bad guys – labeled as ‘Black Hats’. For purposes of racial equality in semantics, Stern PR™ shall herein refer to them as ‘Crooked Hats’. To replace the term ‘White Hats,’ let’s call them ‘Straight Hats’. Okay? The ‘Crooked Hats’ are spammers who use a variety of techniques. Herein we shall solely focus on one. A common sneaky tactic: website comment spamming. They deluge your email inbox with junk comments, aimed solely at creating back links from your quality site to their substandard one. Their goal? They want you to approve their nonsensical comment and URL. This might give them credit on Google and boost their website spot. Of course, not all comments are spam. It is okay to approve legitimate feedback, and the originating URL’s. Check them out, too, before approving. Now crooked hat spam is not only a nuisance, it results in lost productivity. You can expect to waste valuable time combing through the junk, marking as spam and sending to the trash. “Annoying. I’m bombarded with 10 a day on average. Seriously, wastes my time. Disguised to look like a legitimate commentary to an article I’ve written, it’s pure SPAM. Sam I Am, Green Eggs & Ham… Here’s a sample of their deceptiveness – aimed at trying to get the website administrator to approve their “comment” on my website,” said Susan Stern, an Omaha SEO Company strategist. Again, to summarize, in search engine optimization terminology, ‘Crooked Hat’, a.k.a. ‘Black Hat’ SEO refers to the use of aggressive SEO strategies that disobey search engines rules & overall ethics. Why Some Do Black Hat SEO? ‘Crooked Hat’ SEO is more frequently used by those who are looking for a quick financial return on their Web site. Eventually, search engines catch up with the culprits – sometimes radically reducing their website ranking or banning them altogether. In the world of internet marketing, the only approach for long-term search engine ranking success is using ‘White Hat’ SEO techniques. If you run a business that outsources SEO, and you should to Stern PR™ – the best approach is to hire an internet consulting firm in Omaha that does SEO ethically. Ethical SEO means to Industry Expert Mellisa Burdon, “building high quality website pages to engage and persuade, setting up analytics programs to enable site owners to measure results, while improving a site’s conversion rate.” Susan Stern, an SEO Omaha company strategist, agrees with this ethical SEO approach. 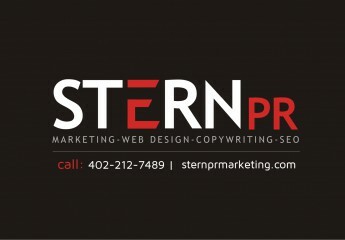 Call Susan Stern now – for SEO Omaha company services. Article originally published on March 13, 2012.